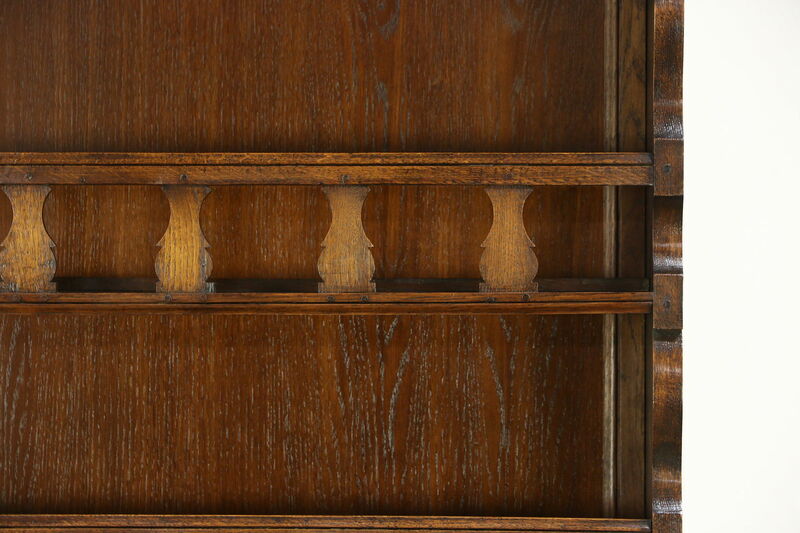 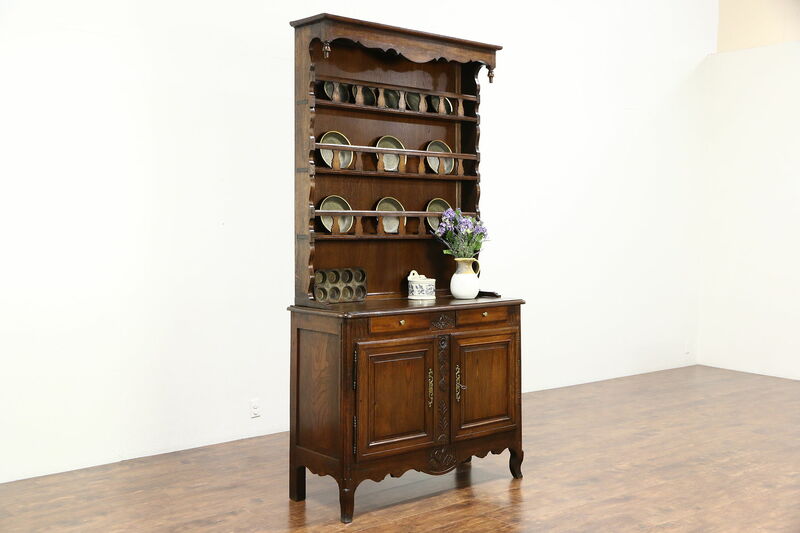 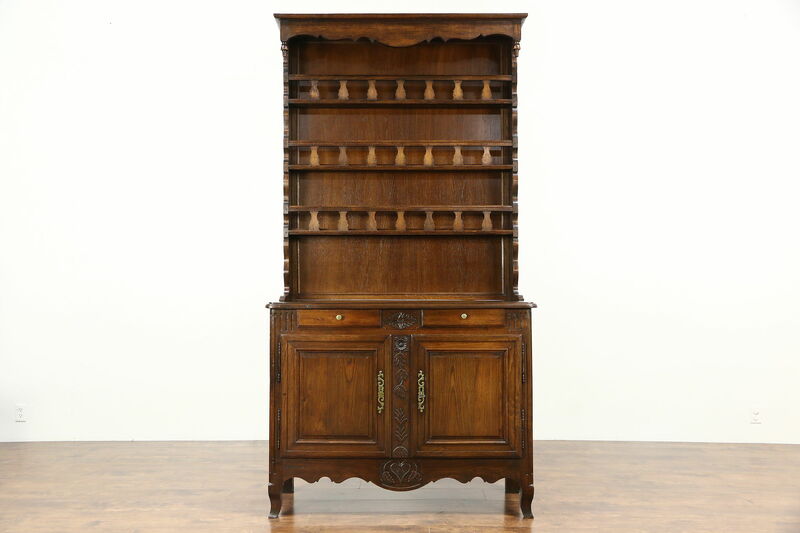 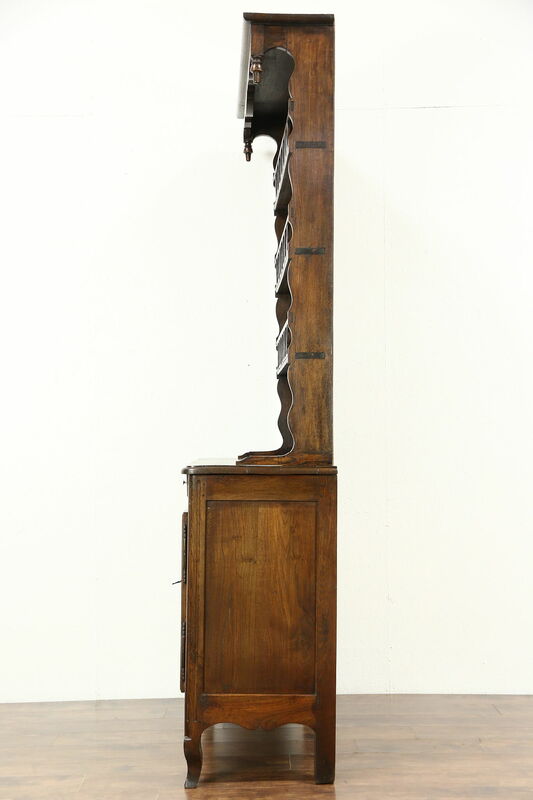 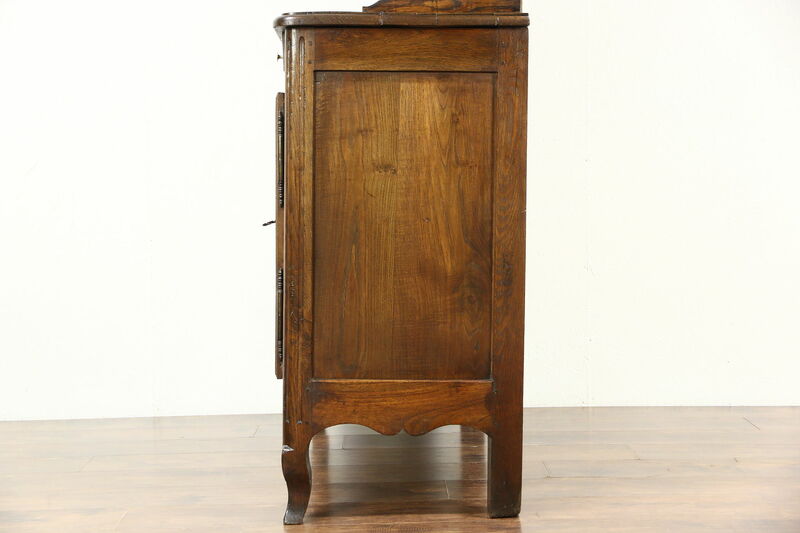 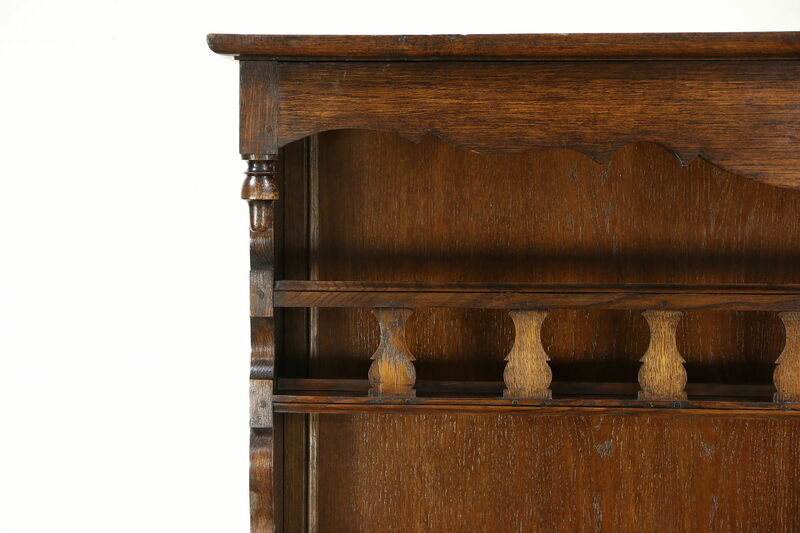 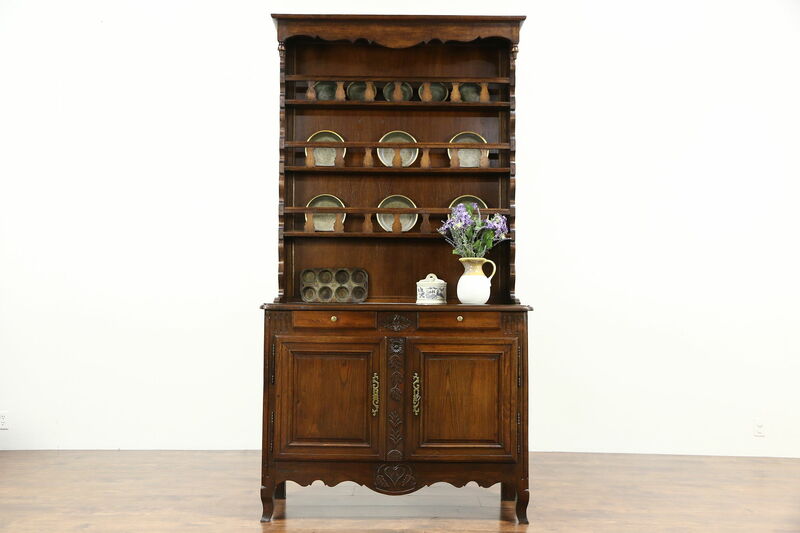 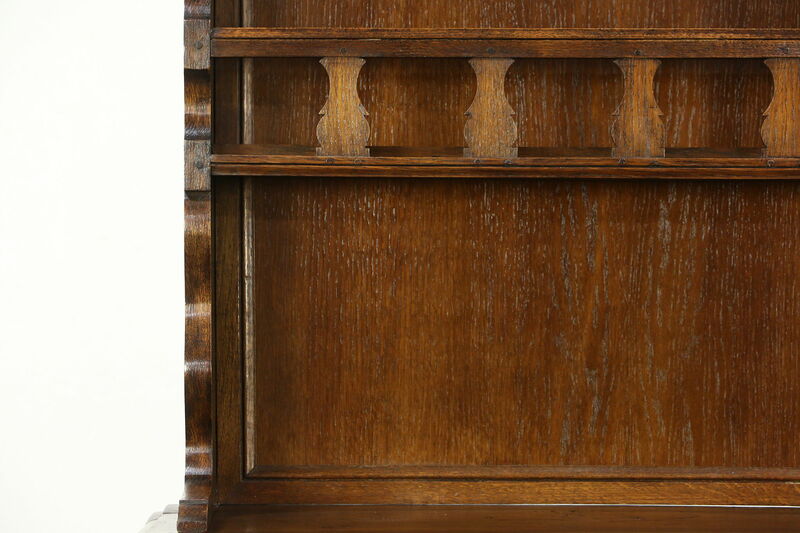 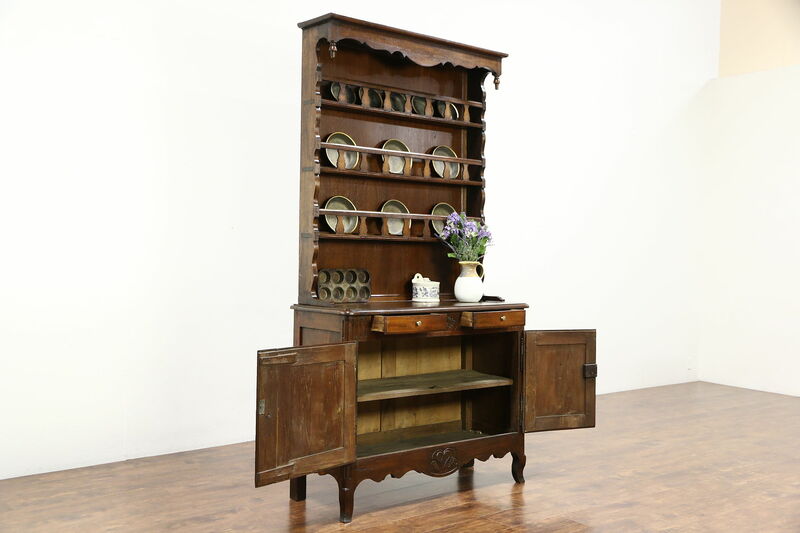 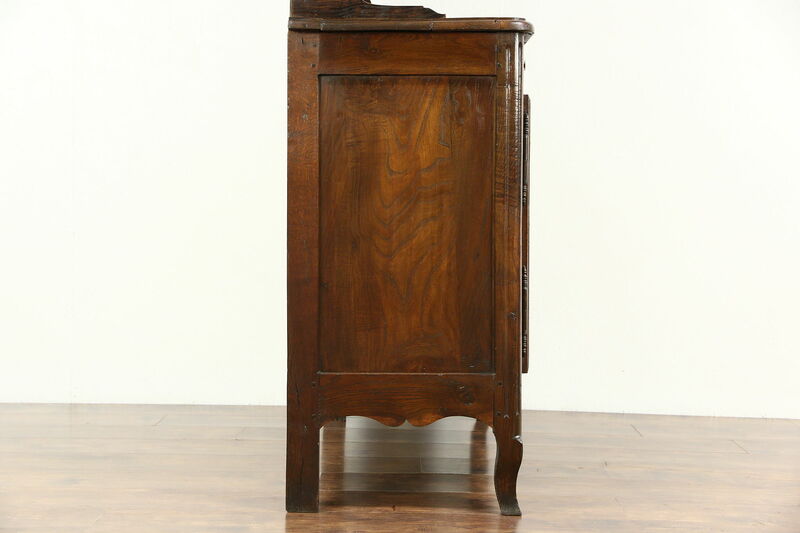 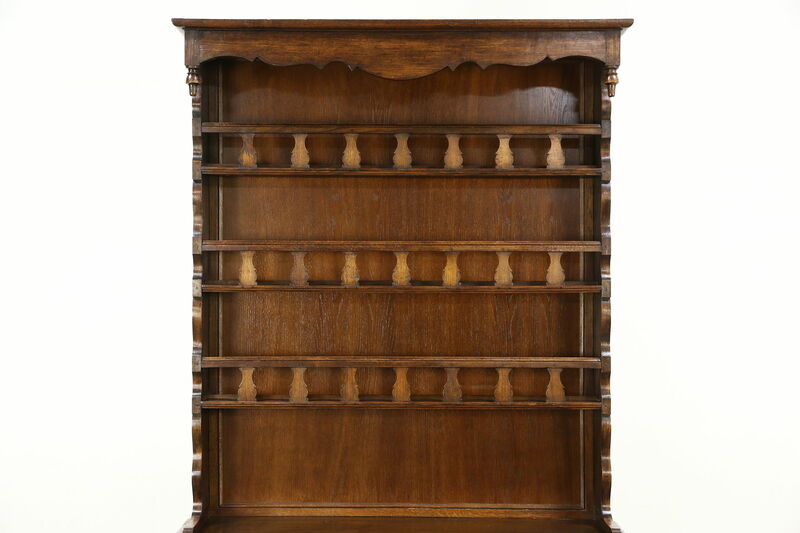 A Country French or Provincial pewter cupboard from about 1840 was hand carved of solid oak in France, and would be called a Welsh Dresser in England. 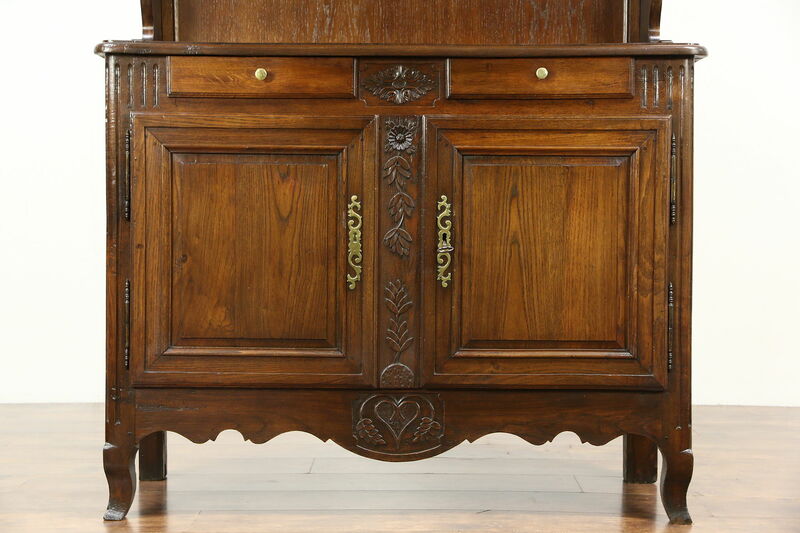 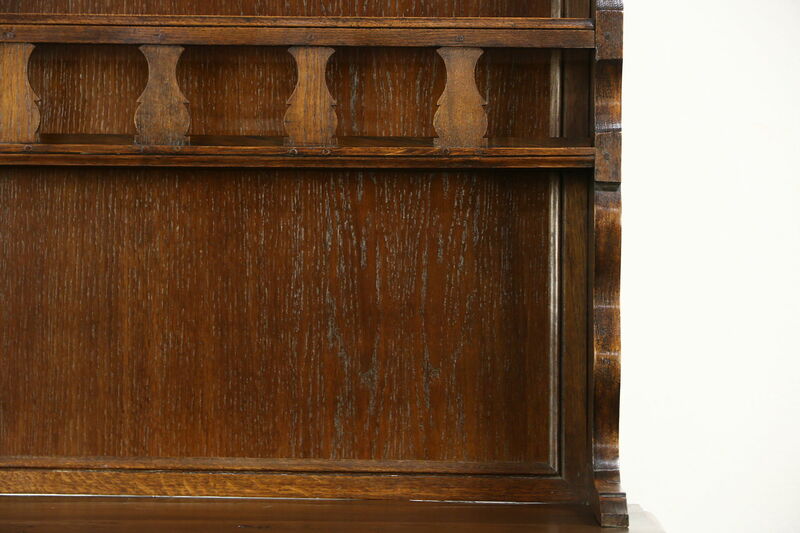 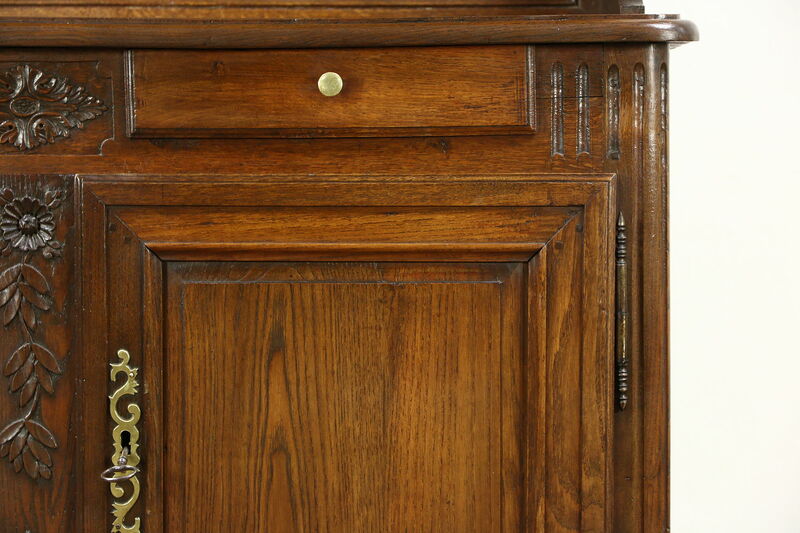 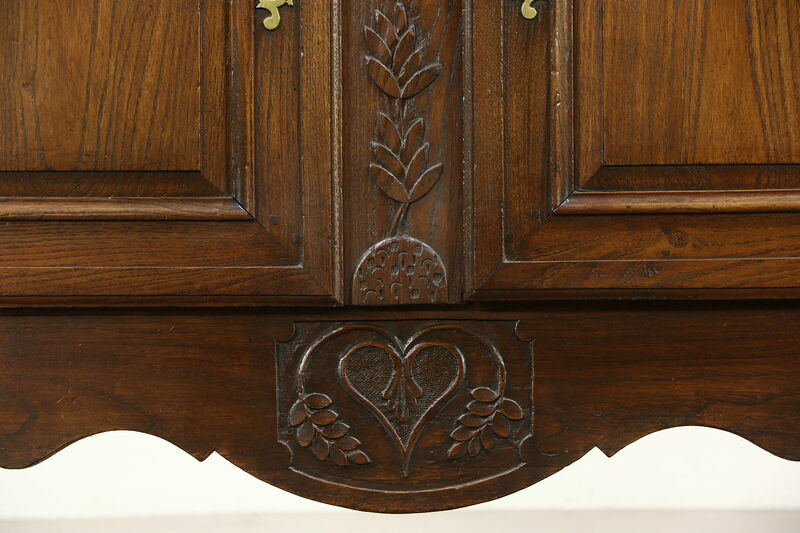 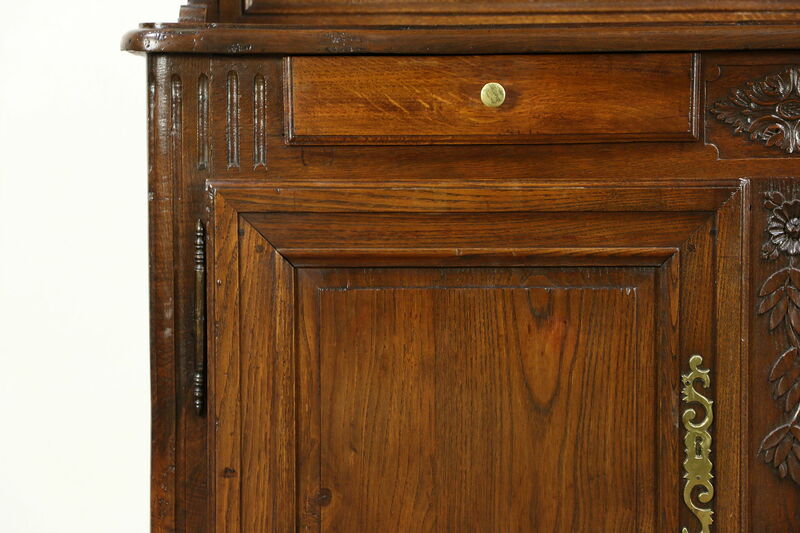 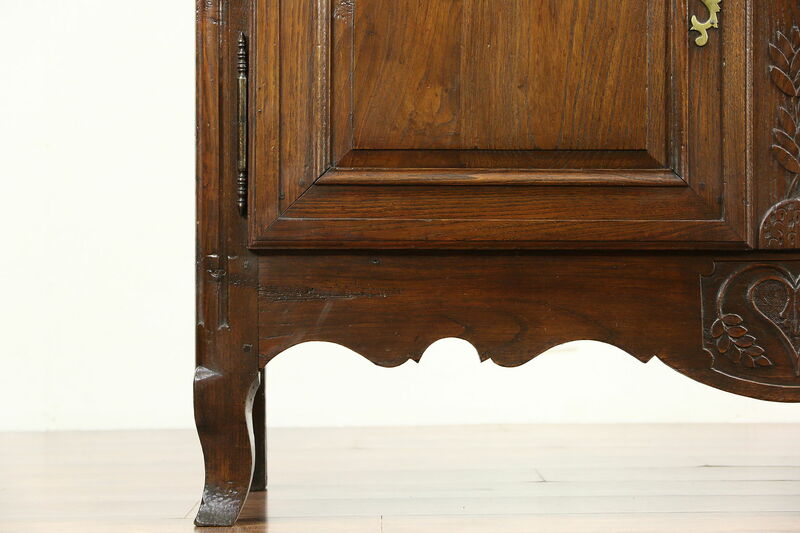 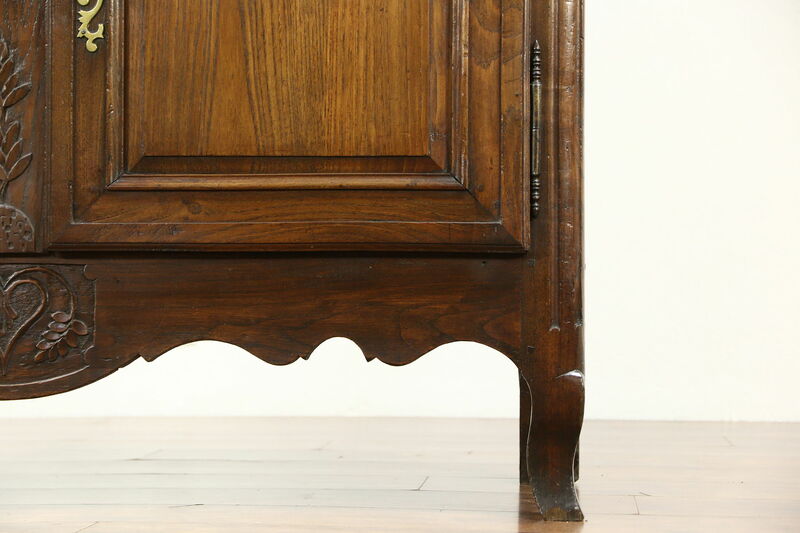 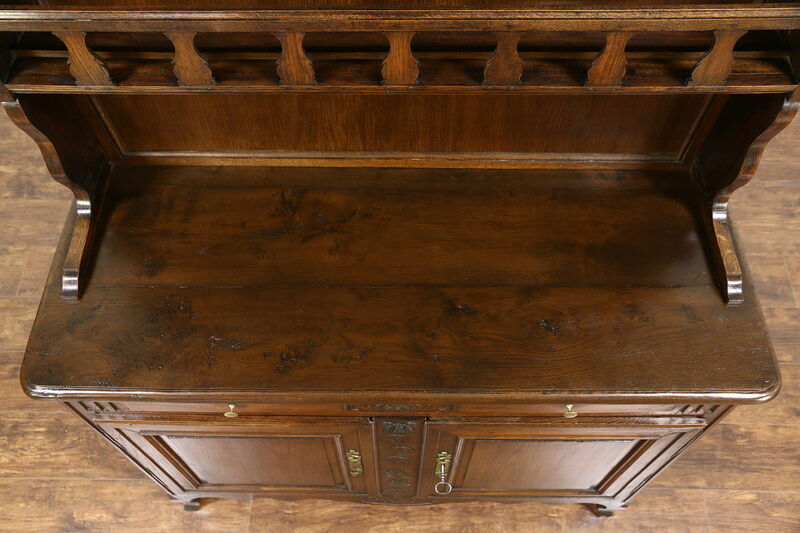 The restored finish is in excellent condition on this antique furniture, preserving stains and mars as shown. 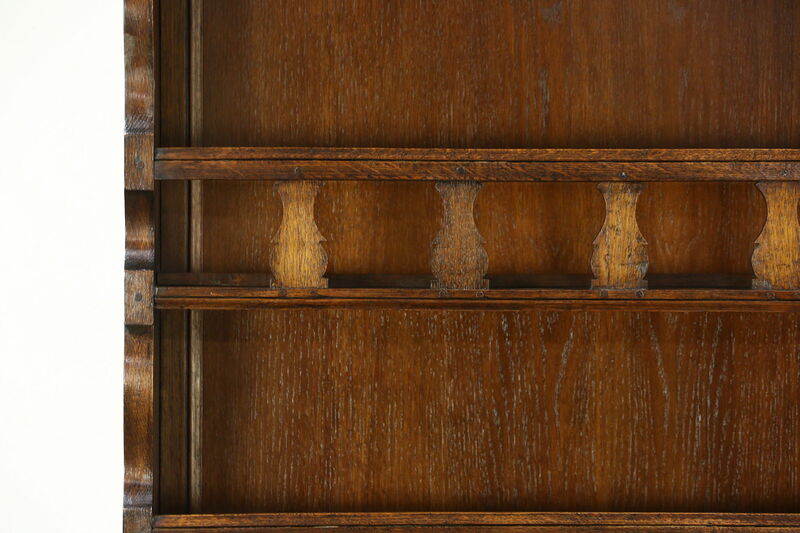 There are warps and shrinkage separations from age, see photos. 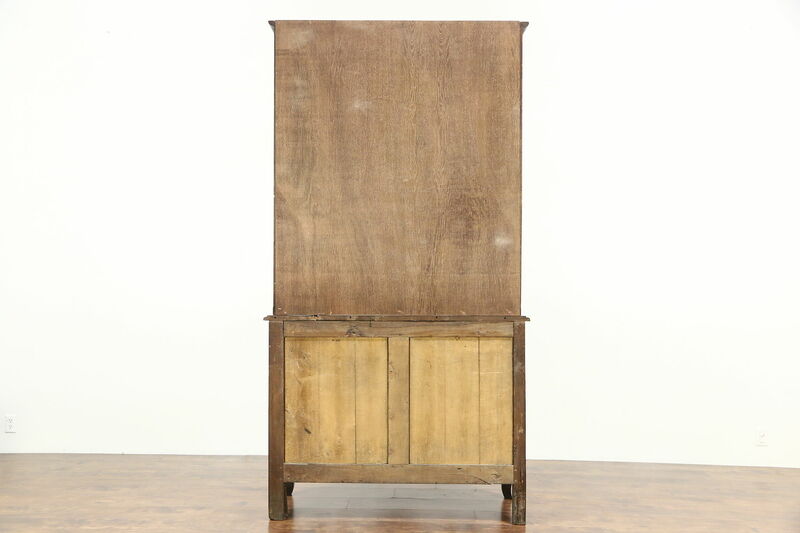 Doors have raised panels and original lift off hinges. 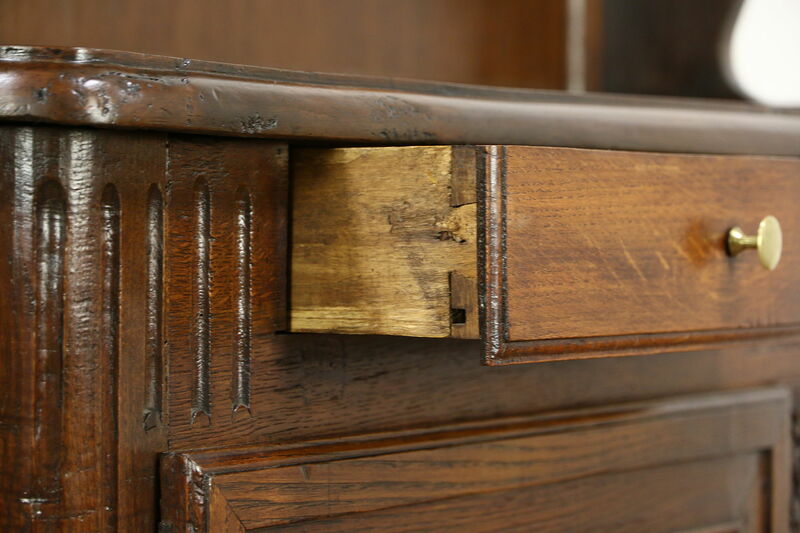 Mortised and pegged joints are authentic. 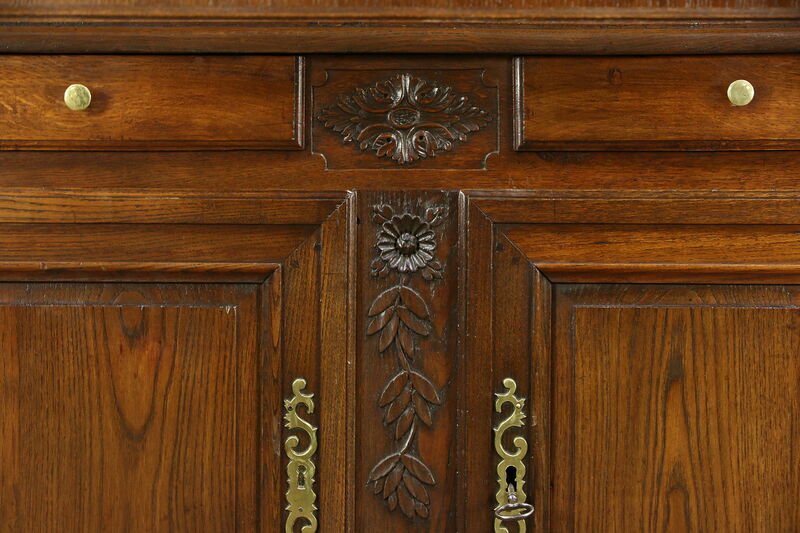 Hand carved details are artistic. 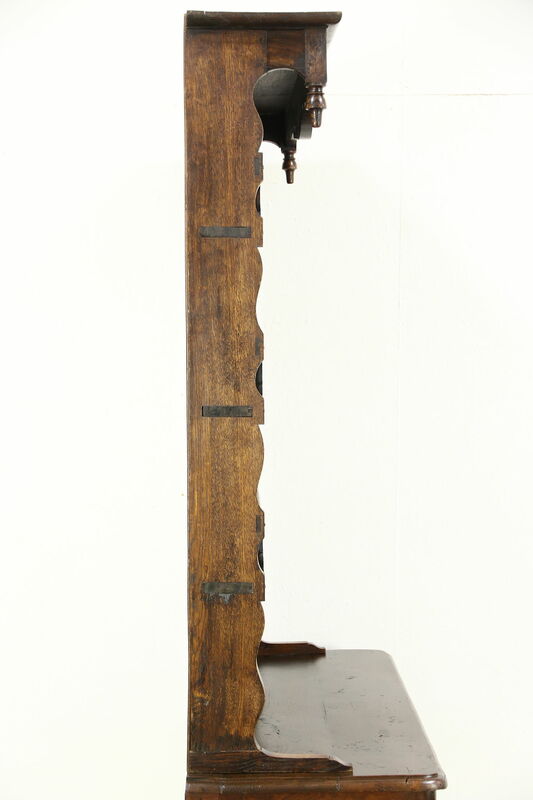 Brass hardware is original, the large lock and key still work. 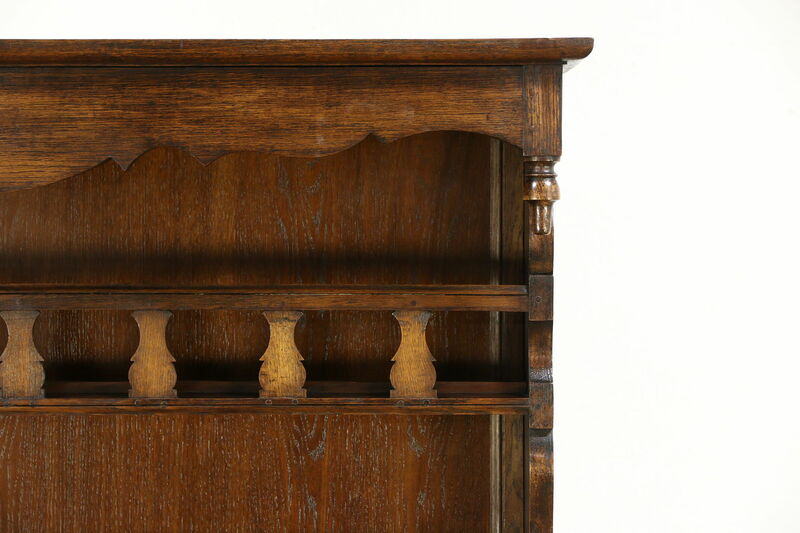 The upper gallery lifts off the base for easier moving. 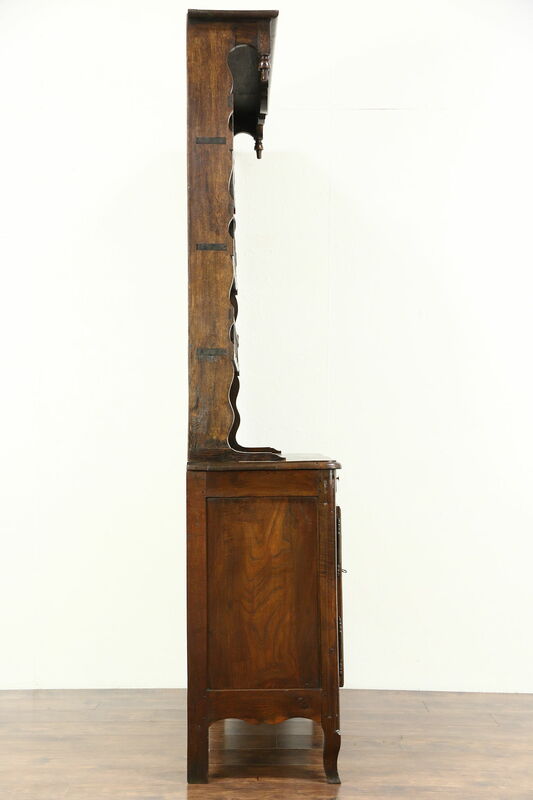 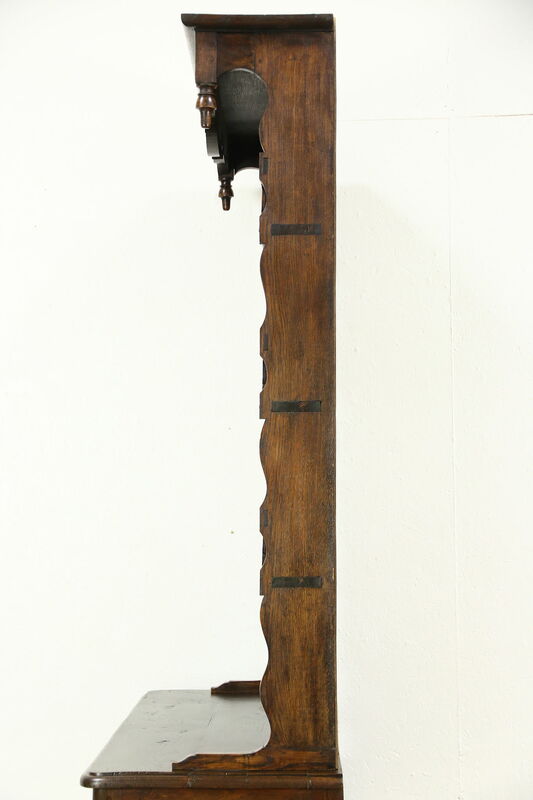 Measurements are 50" wide, 19" deep, 94" tall and the base is 39" high.